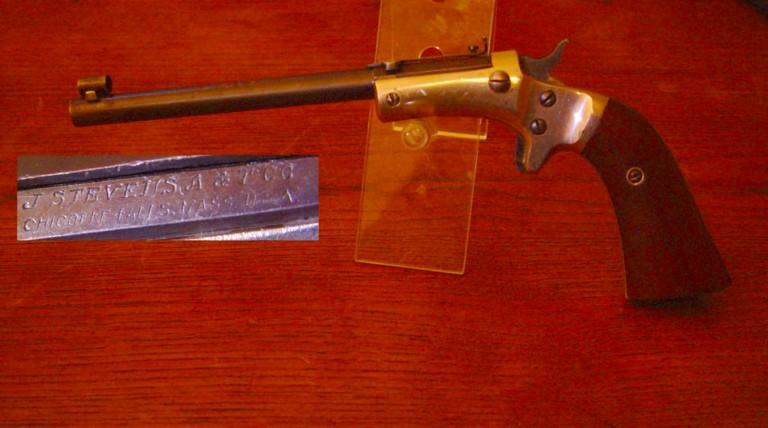 This pistol of shooting or living room is a small weapon coming from the United States, Diamond No 43 second model Stevens. Production 70.000 between 1896 and 1916. Barrel of 6 inches, 15 cm. Caliber 6mm short. On the barrel, J. Stevens A & T Co, Chicopee Falls, Mass. USA. 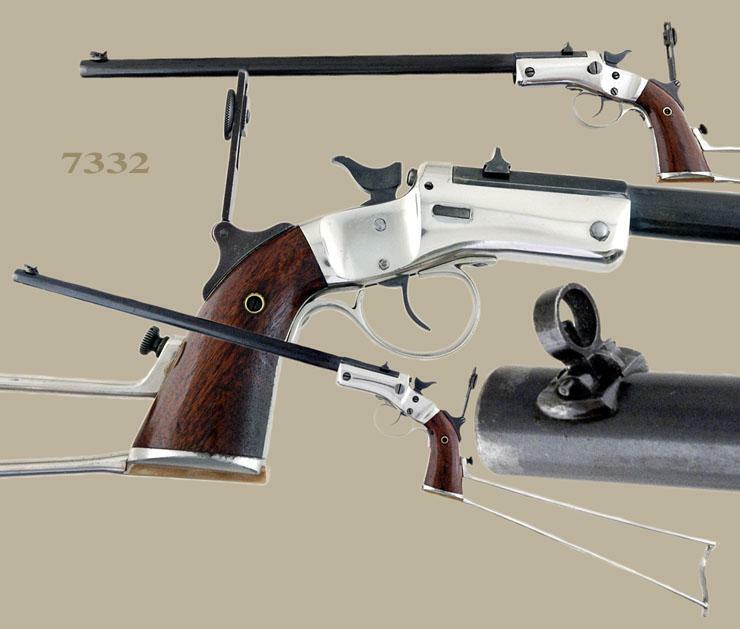 Stevens "Vernier New Model" Pocket Rifle and Stock: 22 cal., single shot. The 15" rd. bbl. has an open rear sight and globe beach front sight. 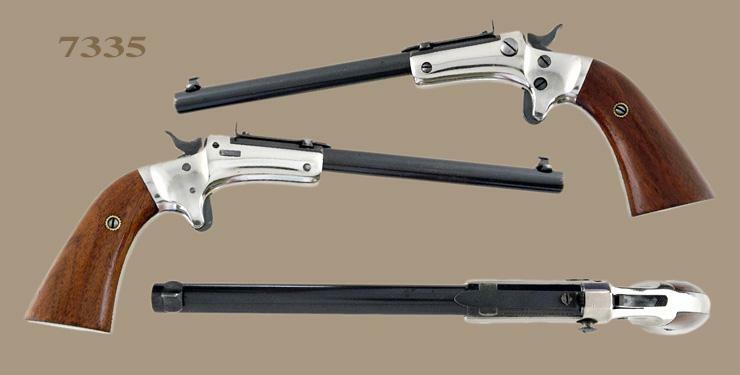 Stevens Reliable Pocket Rifle "No. 42" 2nd Issue and Stock: 22 cal., single shot. The 6" rd. bbl. has Stevens rear peep sight and a factory globe front sight. Nickel finish and checkered walnut two-piece factory grips. 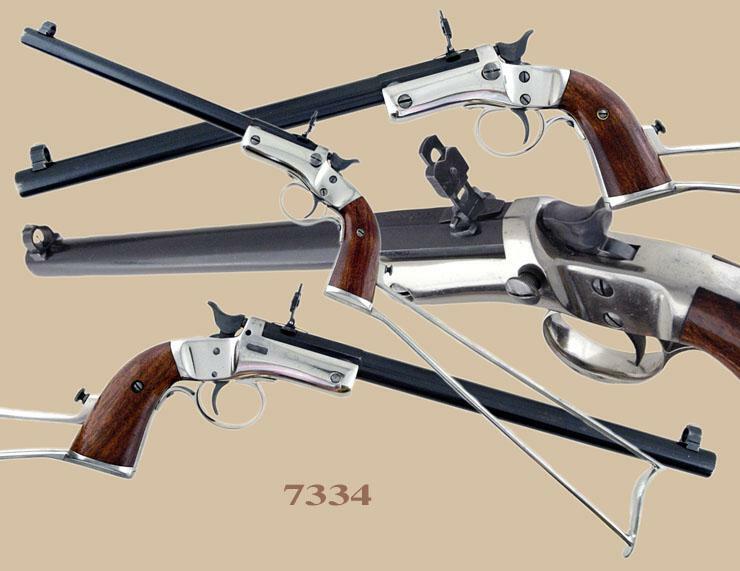 Stevens "New Model Pocket Rifle", 2nd Issue and Stock: 22 cal., single shot. The 10" rd. bbl. has a globe front sight and adjustable rear peep sight. Stevens Diamond "No. 43 2nd Issue"
Stevens Diamond "No. 43 2nd Issue" Pistol: 22 cal., single shot. The 6" round barrel has blue finish, adjustable rear sight and post front sight. The frame and back strap has nickel finish. The two-piece walnut grips are varnish. Stevens "No. 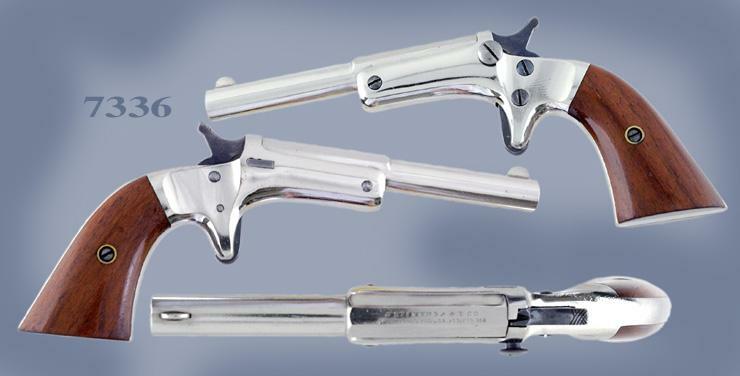 41 Tip-Up" Pocket Pistol: 22 cal. single shot, 3 1/2" round barrel. All metal has nickel finish, blue hammer and trigger, all blue screw heads. 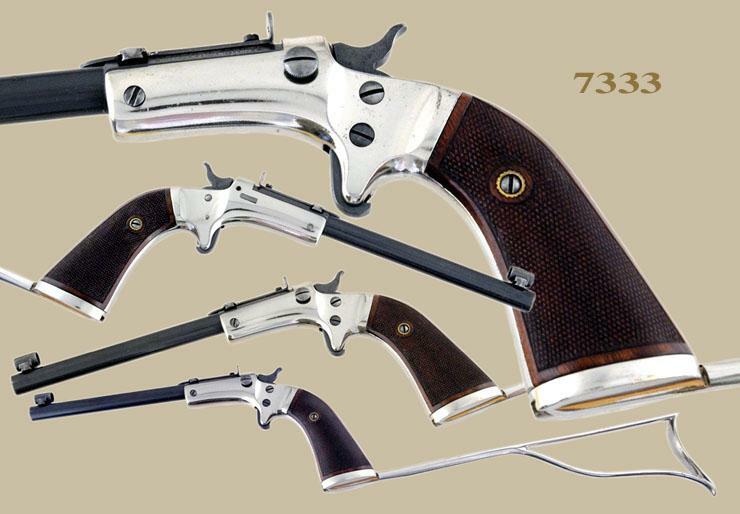 Two-piece walnut grips.